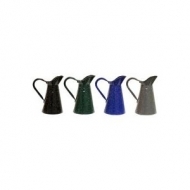 This stylish watering can holds 2.5 liters of water. 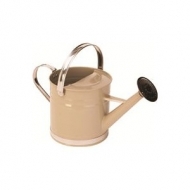 Traditional Watering Can with Chrome Trim. Holds .85 Gal. *Assorted colors available. 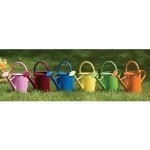 One gallon watering cans. Choose from a variety of in-stock colors.